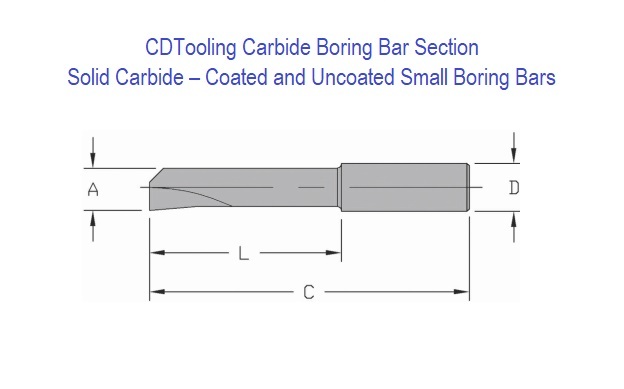 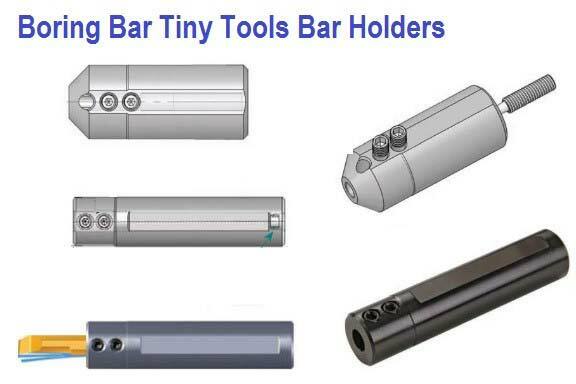 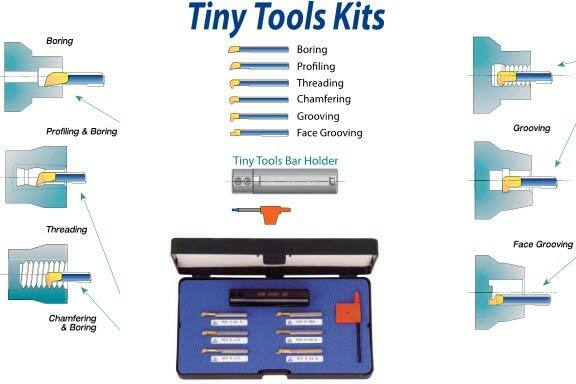 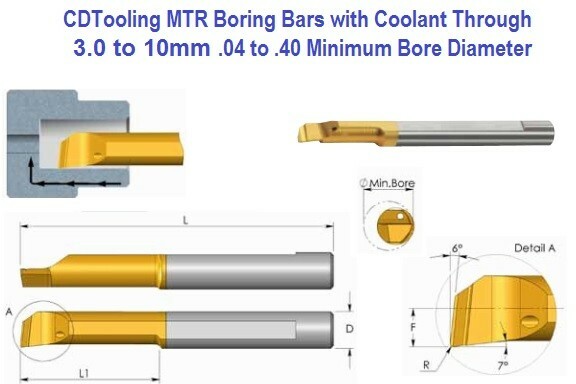 Solid Carbide tools for working in small bores These tools are made for the high-tech, medical and small component industry. 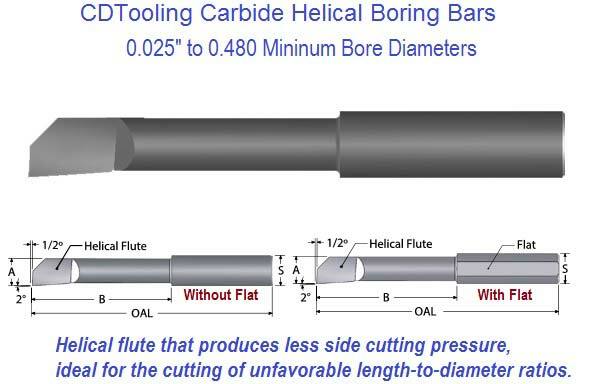 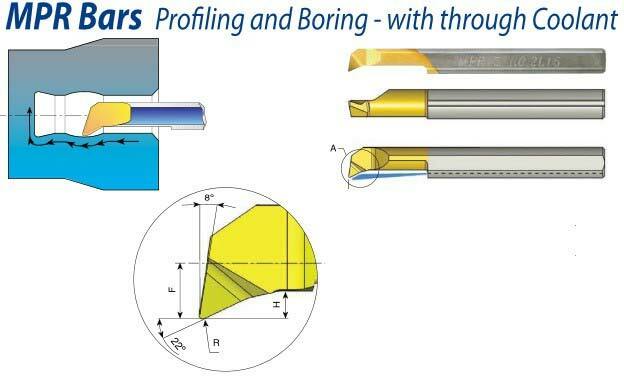 Carbide Helical Boring Bars have a helical flute that produces less side cutting pressure, ideal for the cutting of unfavorable length-to-diameter ratios. 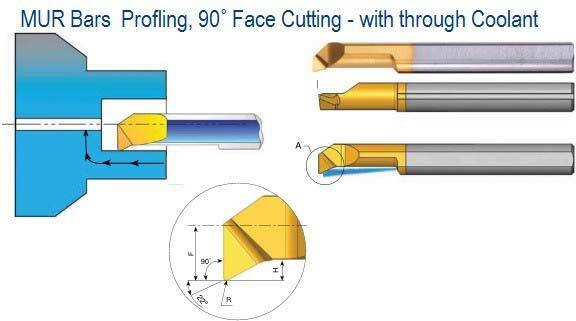 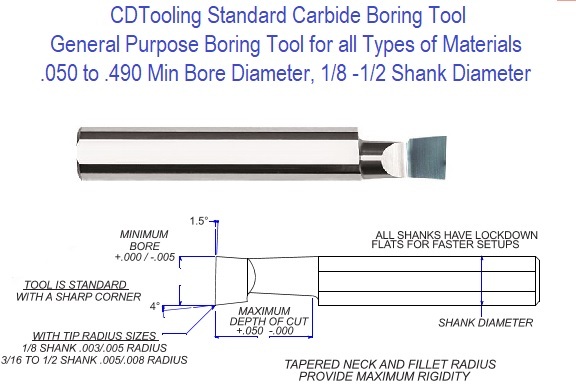 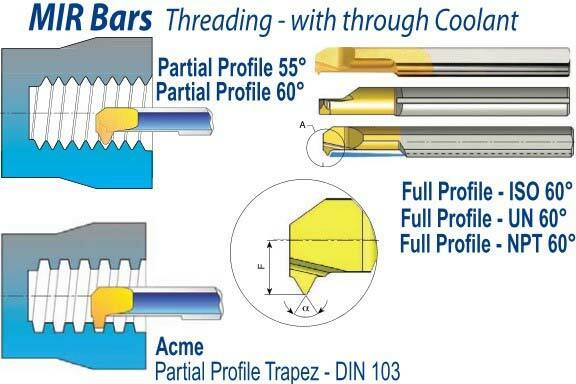 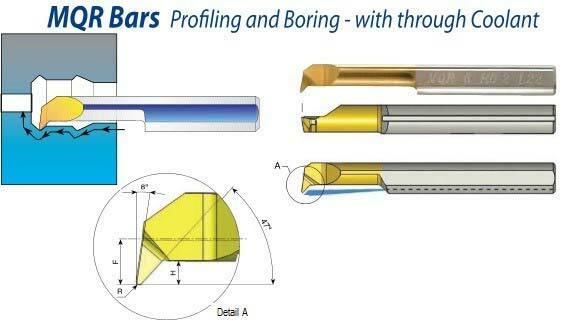 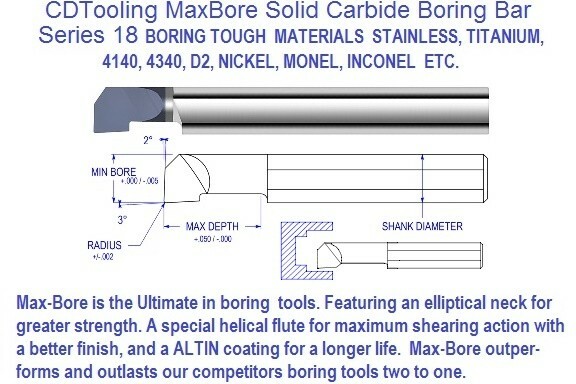 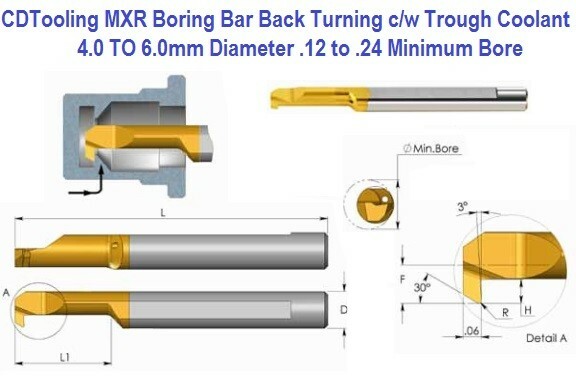 A Complete source of Solid Carbide Boring, Grooving, Threading, Profiling, undercut and face grooving. 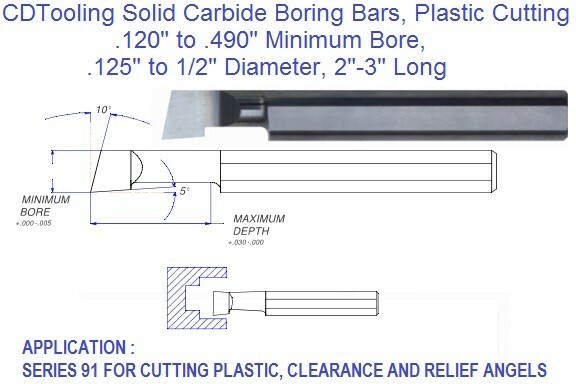 Large range .015 up to .490 minimum Ground from Premium micro grain carbide that will machine the following partial list of materials. 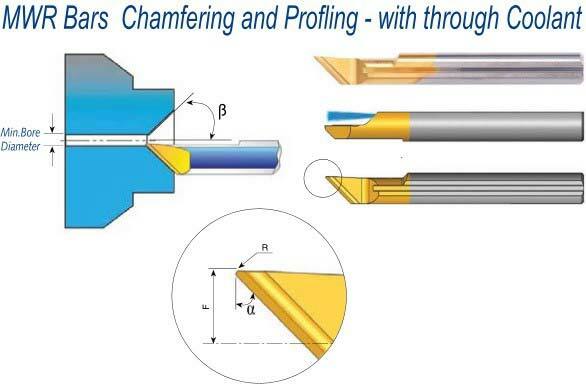 Aluminum, Brass, Bronze, Cobalt, Hastalloy, High Speed Steel, Inconel, Molybdenum, Stainless Steels, Super Alloys, Tungsten, Titanium, Waspalloy and Zirconium.